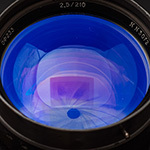 Soon I'll get a 120mm projector lens with a M65 mount. To adapt it I was thinking about using a bellow (40mm to 150mm - Fotodiox), placing one M42 to EF mount and one M65 to M42 adapter (might 3D print it - not sure). Do you guys think will allow me to have infinity focus? Is the bellow length enough for it? 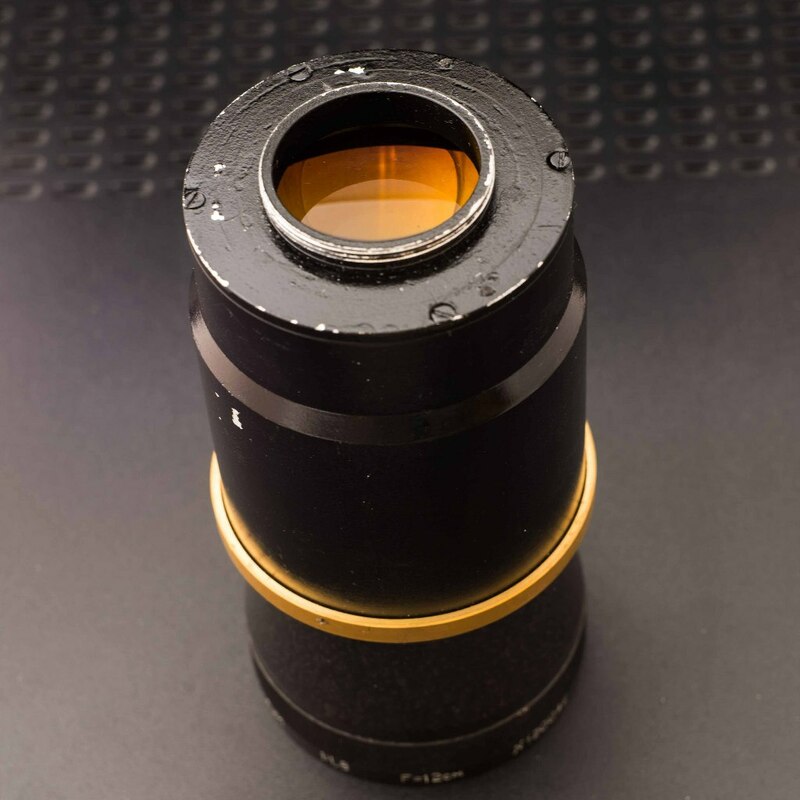 This lens will certainly work for infinity focus as it has a rather large back focal distance. The distance between the rear lens and the M42 is rather short. It is adjusted to infinity in Nikon, but still, you won't have a lot of space to work for adaptation on M42 or DSLR. I took mine out and set it into a 35-90mm Helicoid (65mm), and mounted on my Panasonic GH4 (mft). (Sony-E is 18mm), whereas Nikon-F is 46.5mm (for Nikon the lens end has to nearly touch the camera front). 27mm + 19.25mm = 46.25mm , then 46.25 - 44.0mm = 2.25mm between lens end and Canon EF mount. Doable on a custom made basis (like yours Pierre) BUT NOT WITH A STANDARD 65mm HELICOID! !